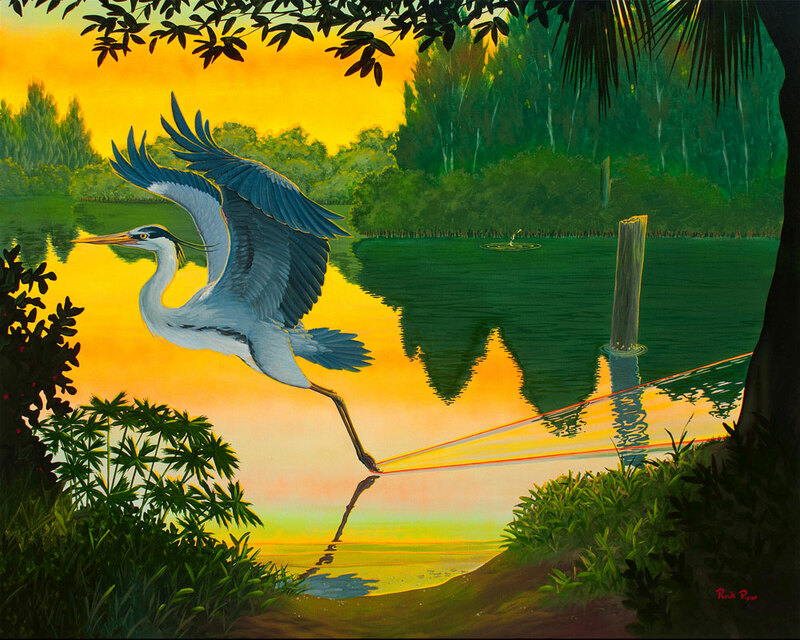 Rick Piper has been chosen as the 2011 Space Coast Art Festival Artist with his piece titled “Great Blue Glazing”. His artwork was chosen among a large group of submissions as being most representative of the Cocoa Beach spirit and will be used throughout the festival. 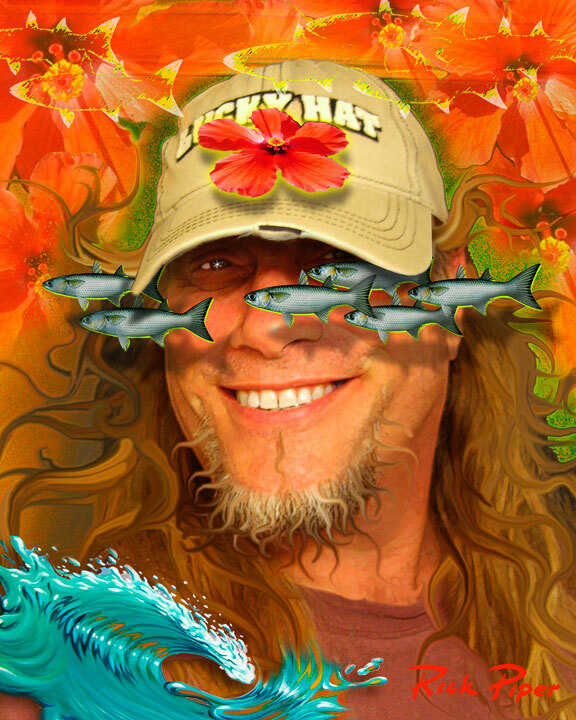 A Florida native, Rick Piper is an artist that makes his home in Cocoa Beach. Showing a natural talent for drawing at a young age, Rick is largely self taught and followed a varied professional path that lead from design and engineering to computer modeling and animation with a leading design visualization group at KSC. Fourteen years ago he decided to quit the 9-5 world and take on the risky life of painting original art. He is a painter, sculptor, muralist, computer artist and designer that makes his living from selling his original compositional fine art. His work informs many styles and is known for imaginative perspectives and vibrant, lush visions that embrace and reflect a retelling of the natural world through emotive memory. Water plays a big roll in his exploration of environment and subject matter. Known for a flowing narrative of a seemingly shared experience, Rick’s work explores our relationship to the visual world as we immerse ourselves in it. Not from a place of observation or overlook but from within the vision, following the path that leads us through it. His art work is awarded and collected both regionally and nationally. His studio is located in downtown Cocoa Beach adjacent to the art show, 1/2 block north at 18 N. Brevard Ave. If you would like to see more of Rick’s art on-line, checkout his web site www.PiperArt.com or on Facebook under “Art by Rick Piper”.